Over time, the signs of aging creep up with a range of symptoms that effect the skin; including wrinkles, lines, texture, blood vessels and redness. Our pores look larger and wrinkles around our eyes tell a story about where you have been. If you desire a treatment that gives your skin a fresher, more natural youthful look but do not want to undergo surgical procedures with many risk factors that may leave you out of commission for long period of time, then Venus Viva is a great solution for you! Venus Viva is a non-invasive and effective treatment with immediate and long term results for facial rejuvenation concerns regarding skin laxity, texture, lines and wrinkles. Venus Viva is safe for all skin types and operates with the revolutionary Nano Fractional Radio Frequency (RF) and Smart Scan technology that delivers superior results through a selectional dermal heating process with minimal discomfort for enhanced patient comfort. This device delivers energy through the epidermis, to the dermis (deep area of the skin tissue) to generate heat and initiate positive skin change, rebuilding collagen and fibroblast stimulation, all resulting in tissue remodeling. What Should I do to Prepare for my Viva Treatment? Make sure your skin is clean with no lotions or oils applied the morning of the treatment. Do not apply make up, serums or any active skin care product to your face. Refrain from sun exposure to the area (s) to be treated for 24 hours prior to your treatment. When you come for your treatment we will take care of the rest! You will require between 3 and 6 treatments on one specific area as this will vary from patient to patient. Yes! Radio Frequency has been used in medicine for many years and is a proven safe and effective technology. Your certified medical practitioner at Man Calgary will review your medical history and your aesthetic goals to see if Venus Viva is right for you. We recommend a package of 3 – 6 treatments for great results. 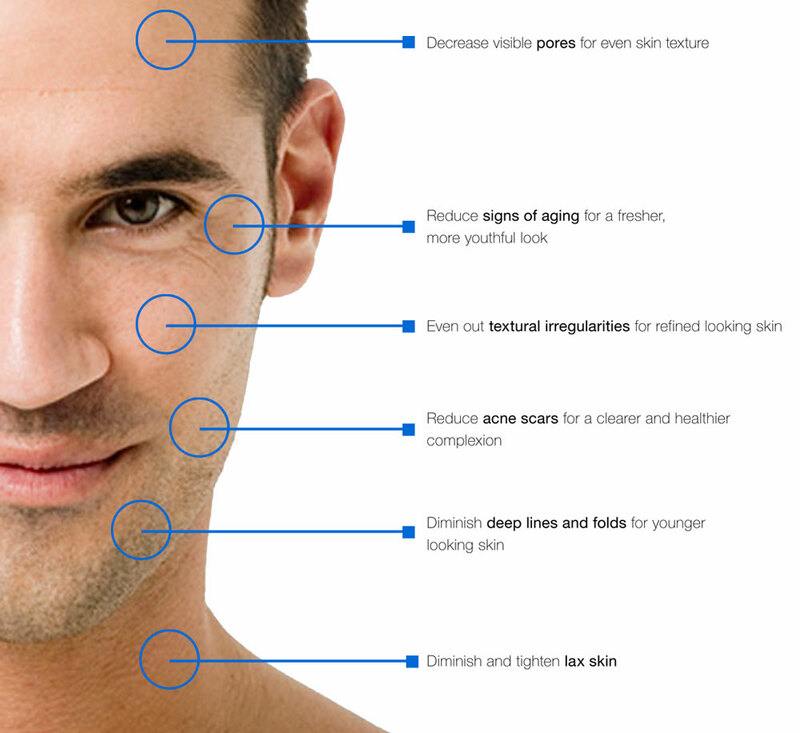 Virtually any area of the body may be treated for a more youthful look. Additional areas by consultation.